Inspired by Rose Schneiderman who said, “The worker must have bread, but she must have roses, too." encouraging everyone to think beyond just survival and to believe we should have art too. 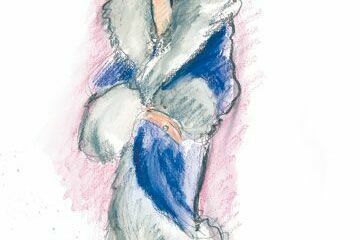 Enjoy illustrations by fashion designers like Betsy Johnson, Yves Saint Laurent, Ricardo Tisci, Karl Lagerfeld and more. Bread and Roses refers to the notion that a political movement whose demand is mere subsistence suffers from a poverty of the imagination—that survival is far from enough. What Schneiderman fought for was "the right to live," she said, "not simply exist—the right to life as the rich woman has the right to life, and the sun and music and art. ... The worker must have bread, but she must have roses, too."